Shibu Hotel takes pride in its emphasis on gratitude, conscientiousness, propriety, attention to detail, and its ability to meet demands. It is the aim of the Shibu Hotel to be a "heartwarming hotel". 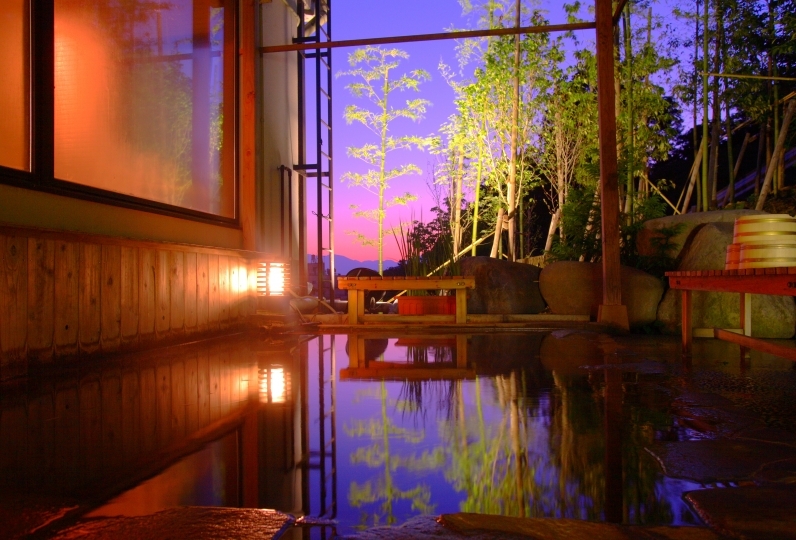 Shibu Onsen is surrounded by the Five Peaks of Northern Nagano mountain range and the Shiga Highlands. The hot springs has a 1300-year history and welcomes you with a nostalgic atmosphere. Shibu Hotel greets you with a warm welcome and a warm farewell. The 3rd generation owner has carried on this this spirit of "omotenashi" that has been a keystone of the Shibu Hotel since its founding. From each of the rooms, guests can enjoy the seasonal views of hills and river. The rooms themselves are not particularly fancy, but they emit a feeling of nostalgia that beckons you to a peace and quiet unconstrained by time. We run natural hot springs all night long in the bathhouse. The indoor bath is an old-fashioned style atrium made of cypress, the outdoor bath is enclosed by a bamboo fence, and a private bath is also available for our guests. 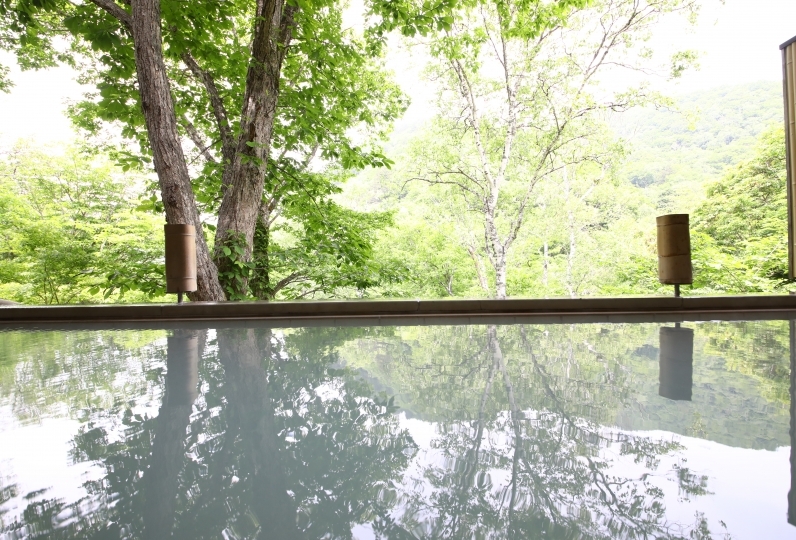 All of our baths overflow with the spring waters drawn from the onsen. Meals are served in the traditional Japanese kaiseki (full course meal) style with seasonal Northern Nagano ingredients collected locally. Why not stay at our simple yet heartwarming accommodations where the Showa era atmosphere invites you to take the time to relax. thank you for helping me. When I met a car outside the gate in the cold we thought that I was glad to be here. On the way home we had to pay the car's snow together, and at that time I was told that "I came to see the monkey in December, so I remembered it by phone," I remembered. I was very happy that you could remember the conversation though it was just one of the customers. Because hot springs and meals were also nice, I definitely would like to take care of them when I go to the monkey park. Thank you. Thank you for all the help you have given me. We received a warm welcome from our staff and it was a pleasant journey. It was nice that the spa town was also tasteful. 1) There was no smoking room, but it was dealing with deodorant, but unfortunately the deodorization is inadequate. The smell of cigarette remains. I think that it is necessary to introduce an air purifier. 2) When tea cakes etc. were not set at the time of guiding to the room, the staff who showed us had noticed that they noticed it, but no response was made. For some reason it was a cup of tea and towel at the time of preparing the futon. This will be a problem. The same staff was in charge of meals, but did not care enough as well. On the other hand, breakfast-ready staff were very kind. For caring, I think whether there is any characteristic in the first place rather than mastered. 3) The dinner was very tasty. On the other hand, breakfast is impressive as normal. The traditional indoor cypress bathtub sits below a vaulted ceiling. 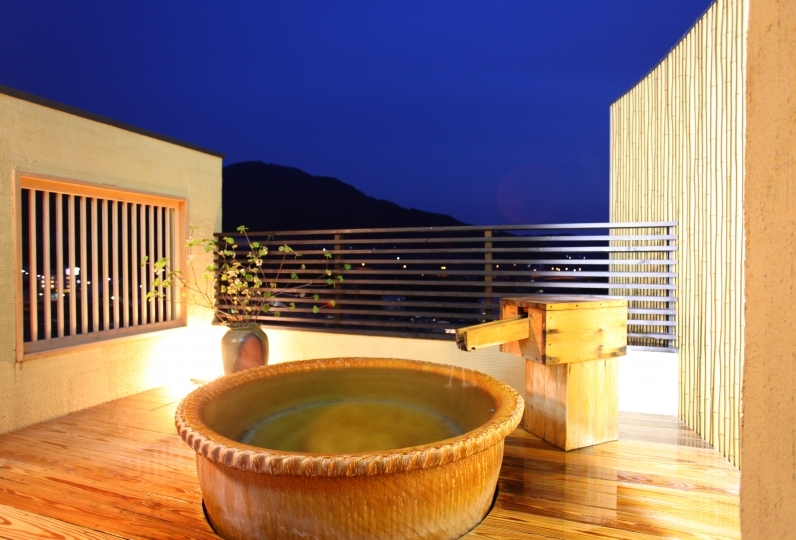 The private reserved open air family bath is surrounded by a bamboo fence. 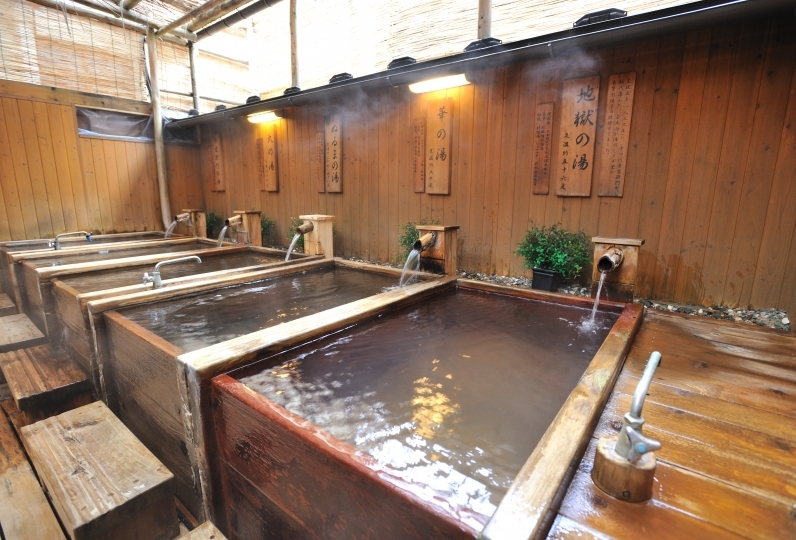 Each bath is filled with natural running hot spring water. Depending upon the season, we prepare two to three kinds of baths where natural hot spring water is blended and poured into the baths. These waters are blended to be gentler on skin. Close your eyes and feel the finest hot spring water with your skin and soul. Shibu Onsen's charming hot spring district. The shopping district has a narrow cobblestone streets. Wear a yukata and wooden sandals as you walk along trying manjuu and eggs cooked in the hot spring. Spend your time peacefully in this traditional hot spring district taking in the atmosphere and enjoying 9 different baths guaranteed to warm your body and soul. 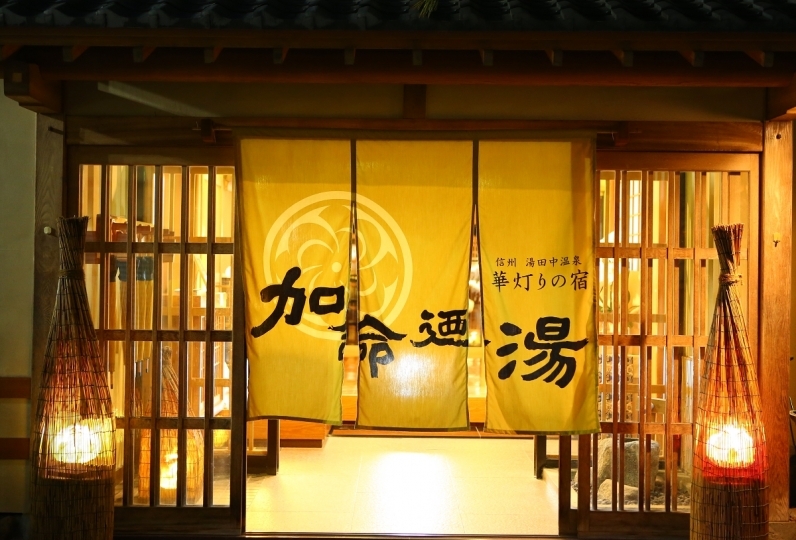 1、Take tour on foot to visit the 9 Shibu Onsen public baths that claim to ward off evil. After you collect 9 stamps on your cotton towel, take it to the Takayakushi Temple and pray for anything you desire. They says that people pray for such things as resolution of their troubles (troubles are called 'ku' in Japanese and 'ku' is also the word for 'nine'), easy childbirth, and immortality. Walking through the streets is like walking directly into a retro movie world. This is part of Shibu Onsen's charm. When you stroll the town wearing Japanese sandals or geta, the men and women of the small shops greet you warmly. The smiling faces of the friendly locals will warm your heart. There are many places to visit, such as the foot bath and onsen temple made famous by Takeda Shingen. There are many manjuu and souvenir shops around town so why not put on a pair of geta and take home some souvenirs? For the comfort of our guests with children, we have the following baby supplies. Please feel free to ask us any questions. ※ As there are limited numbers of each item, we recommend you reserve early. ・This plan does not include the hot spring tax（150 yen）. ・Board the Hokuriku Shinkansen at Tokyo station, then from Nagano station, take the Nagano Dentesu Express to Yudanaka. ・Board the JR Chuo Line Limited Express Shinano at Nagoya station, then from Nagano station, take the Nagano Dentesu Express to Yudanaka. ・Board the JR Express Thunderbird at Osaka station, then take the Hokuriku Shinkansen to Kanazawa station. Then from Nagano station, take the Nagano Dentesu Express to Yudanaka. ・Board the Hokuriku Shinkansen at Kanazawa station, then from Nagano station, take the Nagano Dentesu Express to Yudanaka.